The MAB Programme’s engagement towards youth started during the 4th World Congress of Biosphere Reserves in 2016 in Lima, Peru. While a workshop on youth engagement in biosphere reserves was organized, and more than 1.000 participants showed up, the lack of young participants was surprising and evolved into action to involve youth more directly with the MAB Programme and its World Network of Biosphere Reserves. A year later, from 18 to 22 September 2017, 282 Youth delegates from over 142 biosphere reserves across 85 different countries gathered during the first ever MAB Youth Forum in the Po Delta Biosphere Reserve, Italy. The young participants between 18 and 35 years old either live or work in a biosphere reserve. 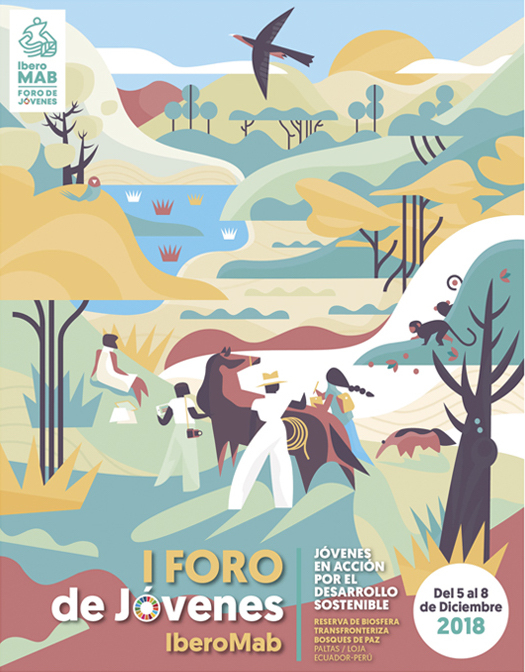 The 1st MAB Youth Forum was organized to offer an opportunity for young people who care about the special territories in which they live in to become active in the MAB Programme and to contribute to the sustainable development of their communities, in line with the Lima Action Plan. The MAB Youth Forum was a great success and proved to be a beginning of active engagement towards youth within the MAB Programme and its World Network of Biosphere Reserves. 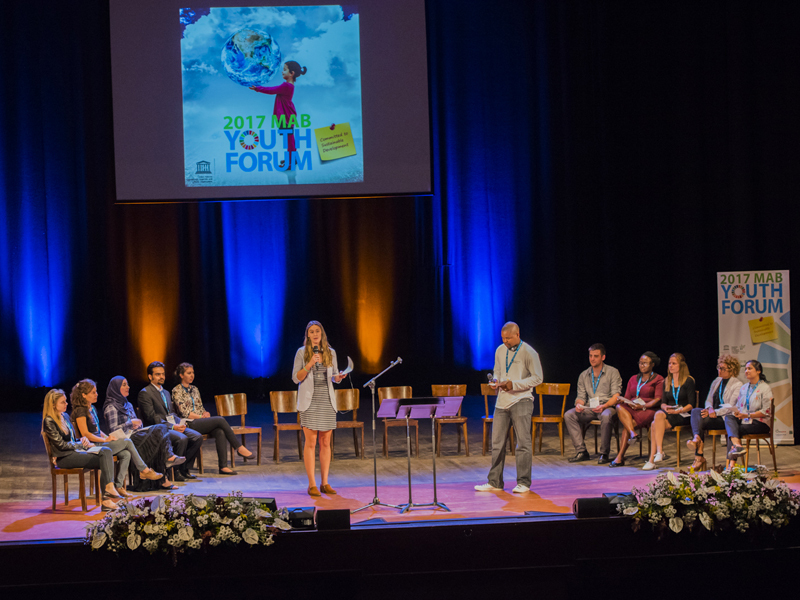 The 2017 MAB Youth Forum was part of UNESCO’s efforts to ensure that young women and men are engaged in policies and programmes affecting them, and lead action to promote peace and sustainable development in their countries and communities. The participants have been carefully selected and invited upon evaluation of a personal letter of motivation and considering a support letter from their respective Biosphere Reserve / MAB National Committee / National Commission for UNESCO. This was done with the aim of selecting participants who were already engaged with UNESCO and the MAB Programme in their respective living/working context, and could therefore commit themselves to follow‐up concretely on the outcomes of the Forum. The majority of participants came from the Europe and North America Region, with a total of 187 participants, unlikely to the Arab States region which was represented by 10 participants, while the Africa, Asia and the Pacific and Latin America and the Caribbean regions were represented by 30, 26, and 22 attendees respectively. It should be noted however that the Forum was organized in Italy and that it attracted therefore a high number of young Italians (76), belonging to Europe. Excluding this high number of participants from Italy, the number of countries and the number of BRs represented per region were, in proportion, perfectly in line with the number of countries and BRs as they are distributed per region in the World Network of Biosphere Reserves. The MAB Youth Forum was therefore highly representative of the diversity and richness of it's World Network of Biosphere Reserves. Important to note is that from a gender balance perspective, the Forum attracted globally more females than males, a trend confirmed for all regions except Africa. This an important achievement since gender equality is considered a UNESCO global priority. In September 2019, UNESCO's MAB Programme and the UNESCO Beijing office will organize a second global MAB Youth Forum. More information will follow very soon!